Aloe Vera, often described as a “wonder plant,” or “plant of immortality,” is a plant which provides many amazing benefits for skin, health, weight loss. Aloe vera’s use can be traced back 6,000 years to early Egypt. Today, Aloe Vera is one of the most used plants. It possesses powerful healing and soothing effects and it can be consumed or applied topically. So, let me tell you more about the incredible uses of Aloe Vera, and trust me you will never buy expensive products again! Even though organic vegetables are considered as one of the best food alternatives for you, they are definitely more expensive than the artificially grown vegetables and they tend to go bad faster. Fortunately, with the help of Aloe Vera, you can extend the food’s storage life. All you have to do is add a thin layer of Aloe Vera (suitable for eating) on the top of the food. Moreover, Aloe Vera has the ability to protect the food from bacteria. GERD or Gastroesophageal reflux disease is a condition that affects a great number of people worldwide. Usually, in the case of GERD, people use prescription drugs that can only provide short-term effects and result the symptoms temporarily. 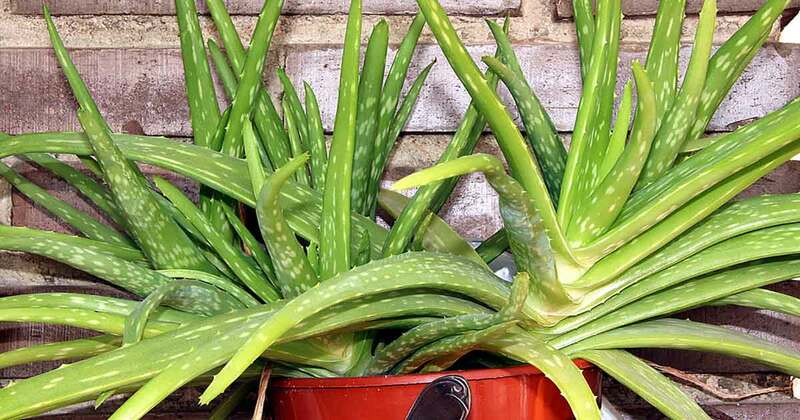 Aloe Vera, on the other hand, can help you to eliminate heartburns once and for all. Bear in mind that not all varieties of Aloe plant are suitable for eating. There are certain Aloe Vera juices that can effectively relieve irritations and reduce inflammation that cause heartburn. Aloe Vera possesses powerful antibacterial properties, and this is the main reason why it is used in the treatment of infected wounds and cuts. Aloe Vera has the ability to accelerate the healing process and reduce your risk of developing scars. According to a recent study, Aloe Vera can provide the same results as most mouthwash products available on the market. With its structure and rich content of vitamin C, Aloe Vera can treat plaque and prevent the bacteria that cause gum disease. A number of studies showed that Aloe Vera extract that comes in the form of gel can be extremely beneficial in the case of constipation. Moreover, Aloe Vera juice helps the colon in its efforts to retain water and encourage bowel movement. Aloe Vera is considered as more effective than regular laxative pills. Most of the beauty care products can provide only short-term effects, but in fact, in the long run, they can only make your skin drier. So, if you want to avoid this and find a permanent solution, we highly recommend you to try Aloe Vera. The fact that Aloe Vera prospers only in areas that are really dry indicates that this plant actually developed a system that keeps the water in the system for a longer period of time. It can hydrate the skin and is very beneficial for treating certain skin conditions as well. Lubricants based on Aloe Vera are completely safe. They come with perfect pH balance that prevents infections and bacteria. It is scientifically proven that taking 2 tablespoons of Aloe Vera juice a day can reduce the blood sugar levels in diabetics. With its sweet taste, Aloe Vera juice can make you forget about sugar! For thousands of years, people in the Mediterranean have been using this remedy. All you have to do is place a few Aloe Vera leaves in water, boil them and inhale the vapor. This will significantly improve your breathing. Aloe Vera can significantly improve digestion and can eliminate the toxins (including free radicals) from the body. In other words, Aloe Vera is highly recommended for people who want to lose weight. Moreover, due to its potent anti-inflammatory properties, this plant can provide better weight loss results.